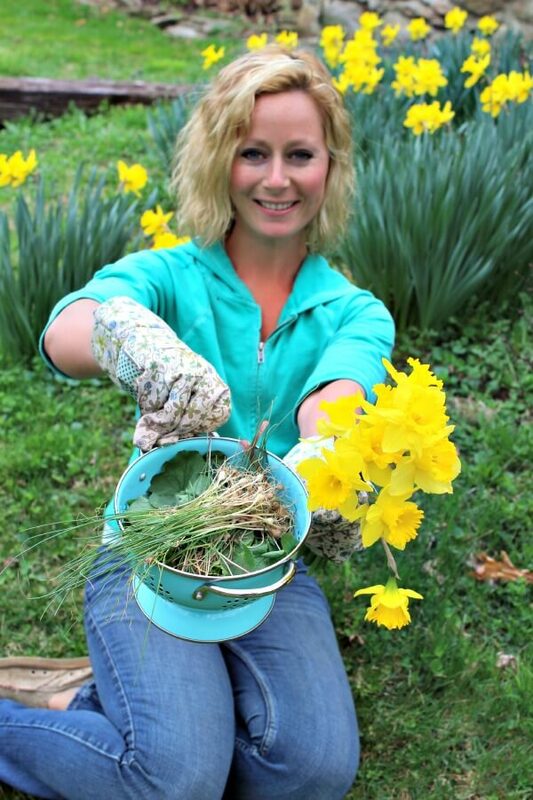 5 Edible Spring Plants That You Can Find Growing Wild In Your Backyard! Did you know that there is free food all around you? It’s true! Once I see the first signs of spring I get so excited! Want to know why? Because I know that I don’t have to purchase any more greens at the store. I can find them for free, growing in the wild, right in my backyard! If you thought you had to wander and hike through miles of fields and woods to forage edible wild food, guess again! 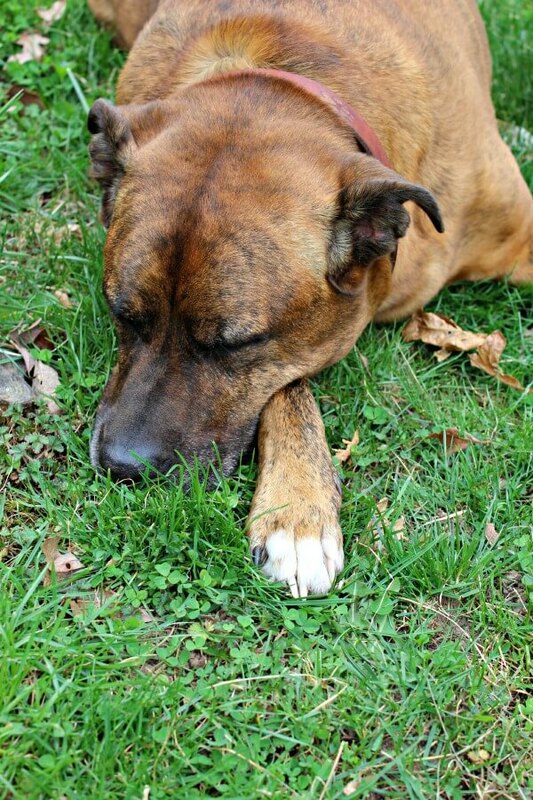 The truth is that you can do it right in your very own yard. Even if you have just a tiny strip of grass as your front lawn, I bet you can even find at least 2 out of the 5 plants down below. Other places to look for these common spring wild edibles are parks, fields, and woods. If it’s not your property, it’s a good idea to ask permission before you go pick. I’ve found that generally people don’t mind at all because most people consider these pesky, nuisance weeds and are happy to have them gone. 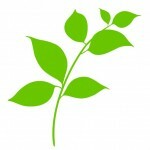 Why should you look for wild edible plants? I couldn’t say this better myself so I’m going to quote Dr. John Kallas, who wrote one of my favorite foraging books, Edible Wild Plants. It’s exactly how I feel, not only about the safety of wild plants, but about life in general. 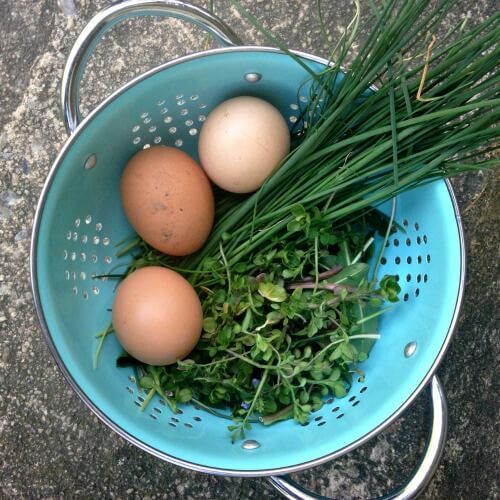 Chickweed is one of my favorite wild edible greens. It has a mild, delicate, pleasant taste and texture. It’s so pleasant tasting that I think it’s best eaten raw, even though you can most definitely sauté or cook it, too. I love eating chickweed in a salad. It’s a nutritional powerhouse and extremely high in iron and zinc, higher than any of the domesticated greens. Chickweed starts to sprout up at the first signs of spring so look out for it – it’s so common and can be found all over! 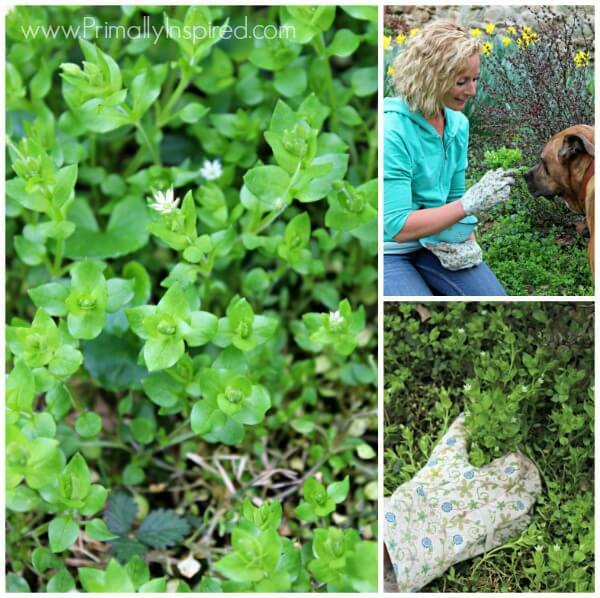 Chickweed has 4 edible parts – the leafy stem tips, the leaves, buds and flowers. Chickweed flowers are very tiny and white. You’ll want to cut only the first 2 inches of the tips – those are the most tender. 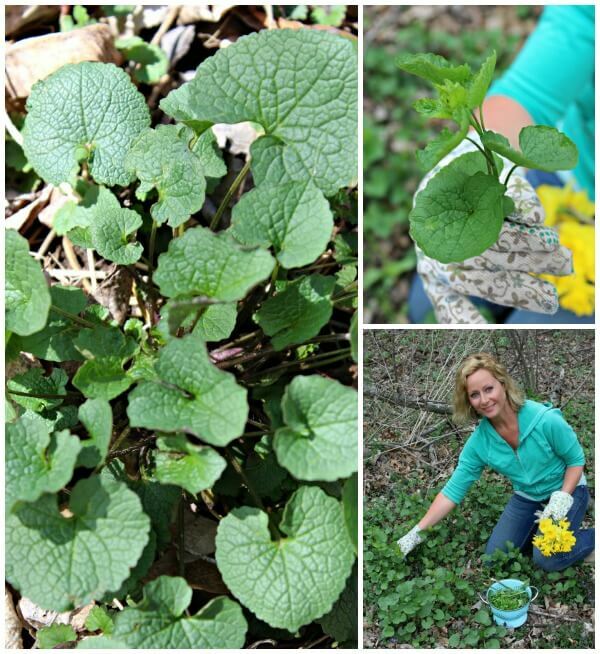 Garlic Mustard is a very invasive plant. You can find it everywhere! I happen to love the taste of garlic mustard because it has a wonderful garlic flavor. If you are a garlic lover, I think you’ll especially enjoy this wild green. Plus, it’s insanely nutritious, too! In fact, it’s one of the most nutritious leafy greens ever analyzed! 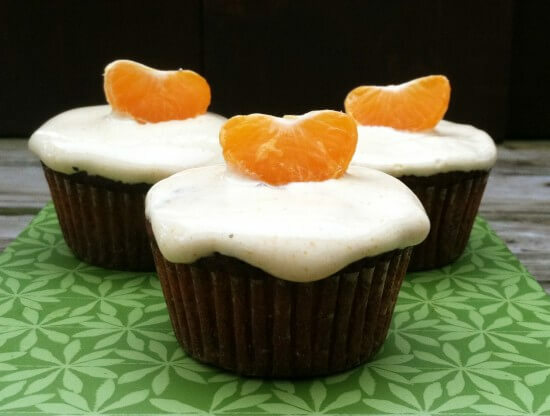 It’s higher in fiber, beta-carotene, Vitamins C and E, and zinc than either spinach or kale! There are many stages of garlic mustard, but it’s best eaten during the spring, when the leaves are tender and young. If you harvest it after spring, it’s much too bitter to eat. Most people love to make pesto out of garlic mustard. Just add olive oil, a squeeze of lemon, salt, pepper and a nut of choice and you’ve got a killer tasting pesto! 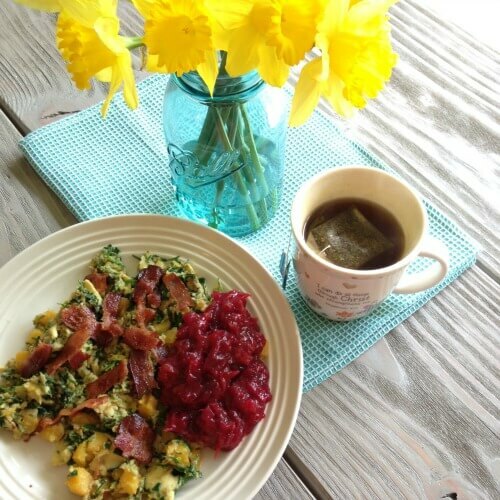 I especially love using garlic mustard in egg dishes like a frittata or omelettes. Lately, I’ve been sautéing garlic mustard for a few minutes and then cracking a few eggs in the skillet for a fabulous breakfast hash. The leaves of wintercress can harvested all throughout the year, but it thrives wonderfully in the spring, when the weather is a bit cooler. Wintercress is abundant in Vitamin C and is a wonderful bitter green to aid in digestive benefits. 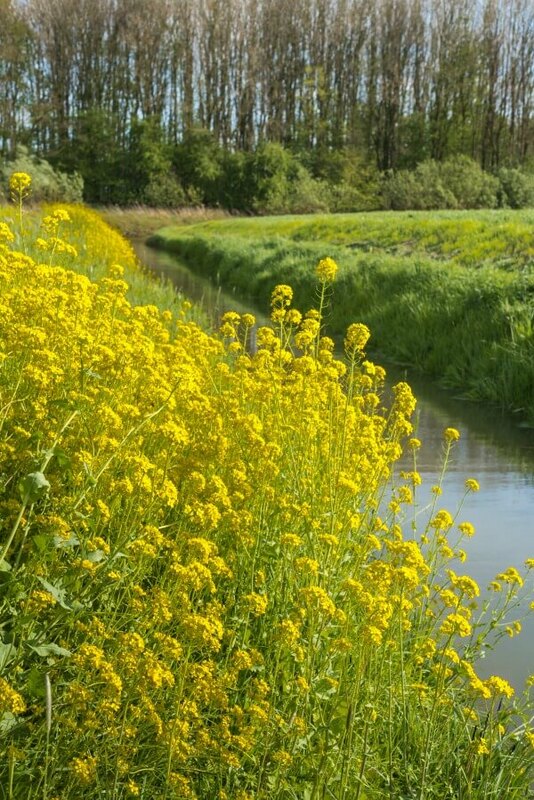 In the early spring, wintercress looks much like the picture above. The leaves, buds clusters that look like mini broccoli heads, flowers, seeds and pods are all edible. Wintercress is bitter in raw form, so most people like to boil it to remove some of the bitterness. I think it’s best eaten not by itself, but mixed with other greens. 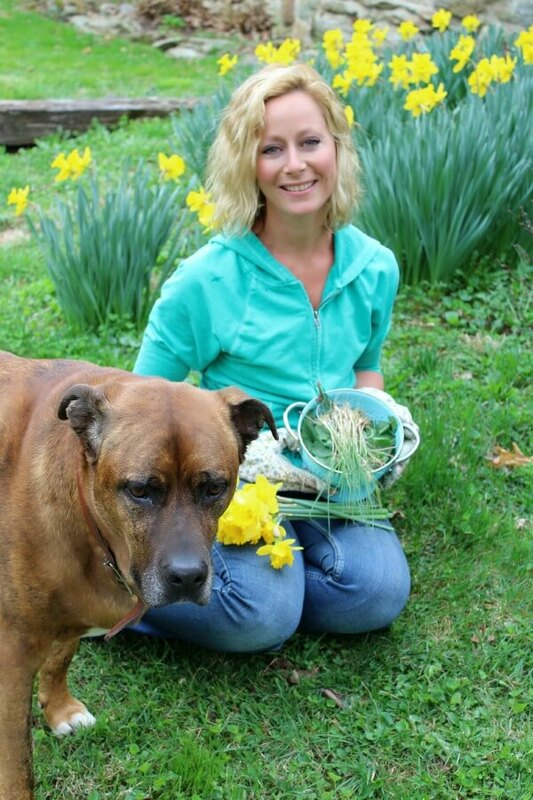 The yellow flowers make a beautiful, edible and tasty garnish to food. Wild Garlic is one of my favorite wild edibles! I love garlic and wild garlic is no exception. Although it looks and tastes like a cross between a garlic and an onion, it’s considered to be wild garlic. 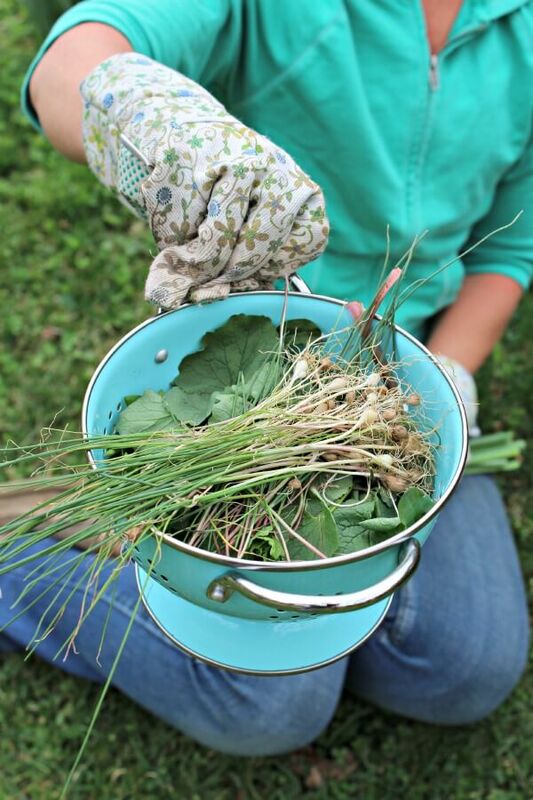 Wild garlic loves to grow in yard lawns, fields and along roadsides. You’ll know you got the right plant if you smell an intense garlic and onion smell. You can harvest both the underground bulb and the green leaves. Use the bulb just like you would garlic. Or you can snip the leaves and use it them as you would chives. I do both and don’t have to buy garlic or chives at the supermarket because I have an abundance of wild garlic growing right in my backyard! I bet you do, too! This is one edible plant that I’m sure your already familiar with. A dandelion is considered one of the most common weeds and you can find them all over – in gardens, your lawn, fields and parks. 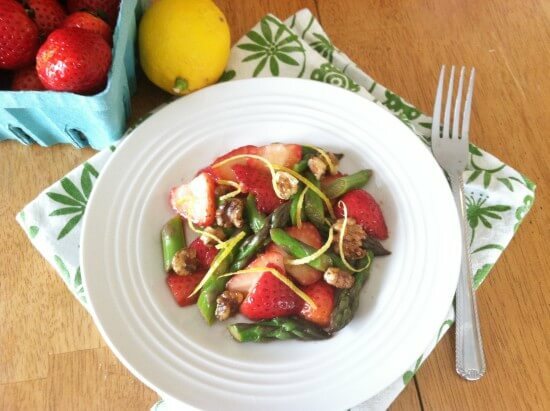 You can eat the leaves, flower buds, flower petals and roots. Dandelion greens are exceptionally nutritious and contain high levels of minerals, Vitamin A, calcium and potassium. The spring is the best time to eat the leaves since they are much more mild tasting. Older leaves become bitter. I love eating the young spring leaves both raw and cooked. In the summer months, you’ll want to cook your dandelion leaves to get rid of some of the bitterness. 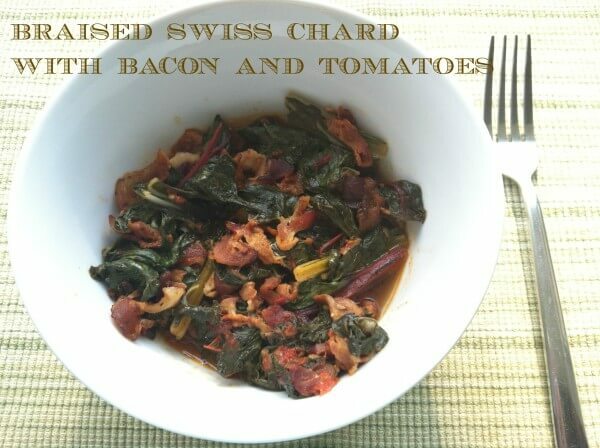 I use spring dandelion greens any way that I would use any other store bought green. You can also eat the dandelion flower petals! Make sure to separate the petals from the green base. That base is very bitter. Some people like to make a dandelion wine out of the petals and I’m going to try that this year 🙂 You can eat the dandelion root, too! Some people make a coffee tasting type beverage out of the root by roasting the root. You can learn how to do make a roasted dandelion root tea that tastes like coffee HERE. 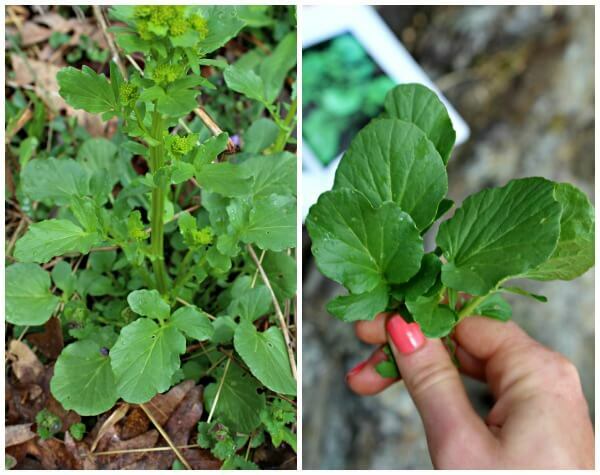 There are numerous other wild edibles that you can find all during the spring, but I chose to highlight the most common ones that are generally found in abundance right under your feet all over North America and Europe. 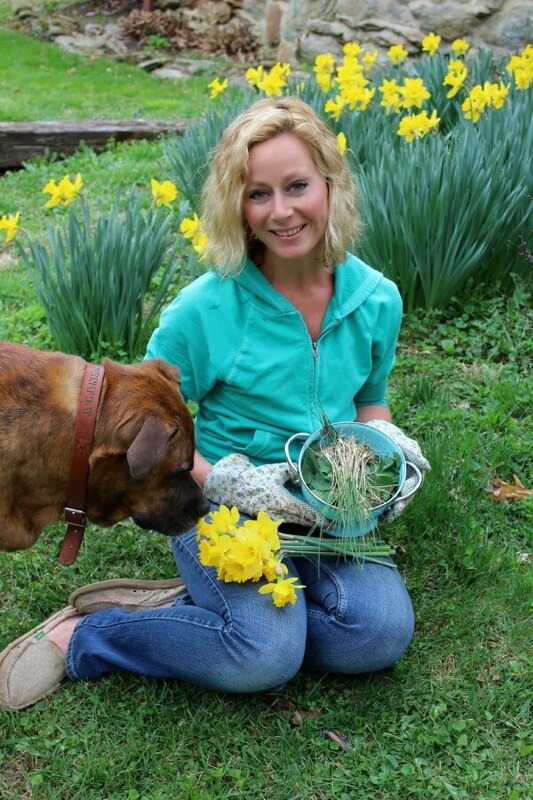 Want to learn more about foraging? Try it yourself and let’s talk! I hope this post inspires you and helps open you up to the wonderful world of foraging. 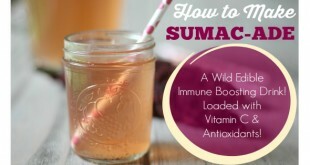 It’s so fun and a highly nutritious and inexpensive (free!!!) way to eat organic greens! Great post as always! I didn’t know about the two mustard plants and am anxious to try them. Another good one is purslane. I usually see it later in the summer. The leaves are almost like a succulent, and it has a tart, lemony taste. It is very high in omega 3. In Europe it is cultivated and sold like other greens. Amazing what we have right in our own backyards! Nice!! I will look for it this summer! I was introduced to foraging by my father when I was young. This week I found some wild asparagus and made a quiche. Soon it will be time to hunt morels. If I’m lucky I will find some greens from your list as well. I am so jealous, Bonnie! I went hiking for wild asparagus, but couldn’t find any – I will keep trying 🙂 Can’t wait until I can find some morels – love them! What a great web site. Thanks you for bringing attention to my “Disclaimer” (Foraging Safety above). Often when people buy non-fiction books, they skip past all the chapters that cover concepts and head right for the plants. You apparently read the whole book and benefitted from it. My heart and soul went into volume 1 of my book series and I think that is apparent in my disclaimer. One note on the mustard you show above. That is winter cress (Barbarea vulgaris), another edible, but not field mustard (Brassica rapa). An easy mistake to make. They are both in my book. Both have edible parts. Good luck to you and happy foraging. Spring is almost upon us. I am so excited to get a comment from you, John! 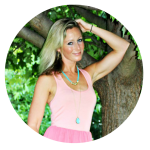 Your passion, enthusiasm and personality shines through in your writing. They say the best teachers are the ones who inspire others and whenever I read your work, I get so inspired. Thank you so much for helping me with the wintercress – I updated this post with the new information. I am still considered a newbie to foraging, but am getting better and better each season. I enjoy it so much! Your comment here made my day – thank you for taking the time to reach out and help me out! 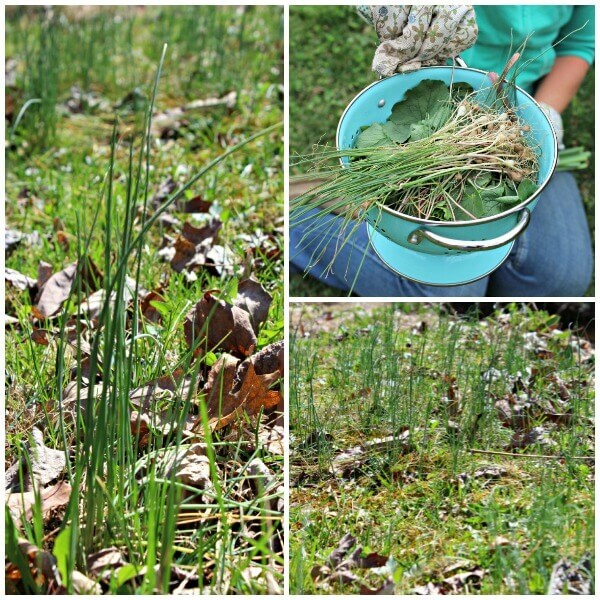 Last week I went out into the woods and collected a bag full of wild leeks (also called ramps). Both the leaves and bulb are edible—and delicious. It looks very similar to lily-of-the-valley, so be careful. The leek bulb has a noticeable garlic smell, which distinguishes it from the lily-of-the-valley. So cool, Mary! Thank you for sharing. I will look for them – I love, love, love leeks! I have eaten dandelion leaves since I was a kid .wilted . Use a wilted. 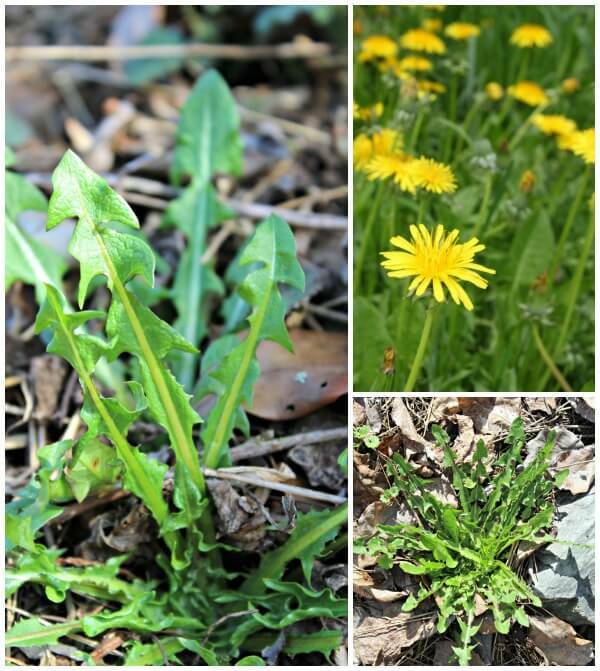 Lettuce recipe and young dandelion in the spring. I could never get enough! !